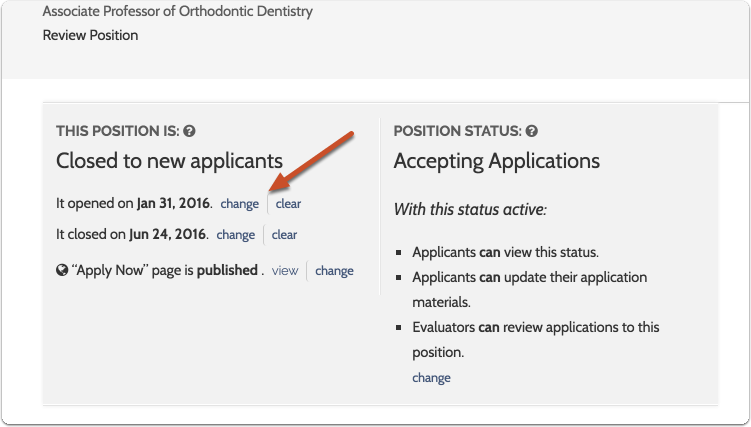 Once you've created and reviewed your Interfolio Faculty Search position, the position URL that advertises your search will be published automatically when your position reaches its "Open" date. The article below explains the rules around publishing a position, how to publish your "Apply Now" page, and how to retrieve the link for that page so you can start advertising your position. 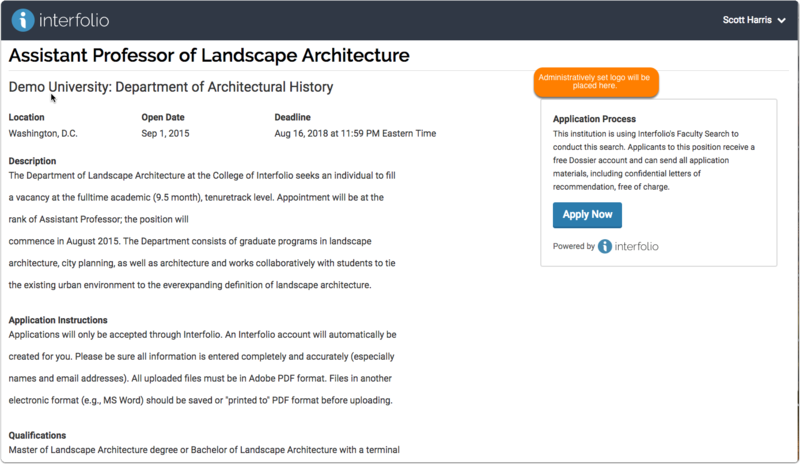 While entering all the information and requirements for your position, you are also creating a unique landing page that announces your search, and which applicants will use to apply for your opportunity. The landing page includes details and application instructions, and provides applicants with a free Interfolio Dossier & Portfolio account, which they will need to apply.